The new affordable homes meet the Welsh Assembly Government’s ‘Design Quality Requirements’ for grant funded homes. The homes meet the Code for Sustainable Homes level three standard through the provision of highly efficient building fabric, solar panels, and heat recovery systems. They are Lifetime Homes compliant and the wider development has achieved Secured by Design accreditation. Before the specification and installation of any sustainable technologies, such as solar panels, we held workshops with our suppliers and subcontractors. These workshops helped us to choose the most appropriate technologies for the new homes, which were both easy for us to install and would offer residents savings on their bills without needing too much maintenance in the future. The site used to be a heavy industrial railway wagon yard. When we bought the site it was highly contaminated and independent assessments of the ground showed high levels of hydrocarbons, heavy metals and asbestos were present. Drawing on our extensive experience and expertise in land remediation and following the Environment Agency’s strict requirements, we began preparing the land for residential development in 2007. As well as the removal and treatment of contaminated materials, we were also required to re-profile the land and remove large amounts of Japanese Knotweed. Originally we had proposed that the development would only have homes for private sale. However, market research showed us that there was a high demand for affordable homes in the area. We decided to alter the types of homes we would build and looked for a registered provider that would be able to invest in the development with us. 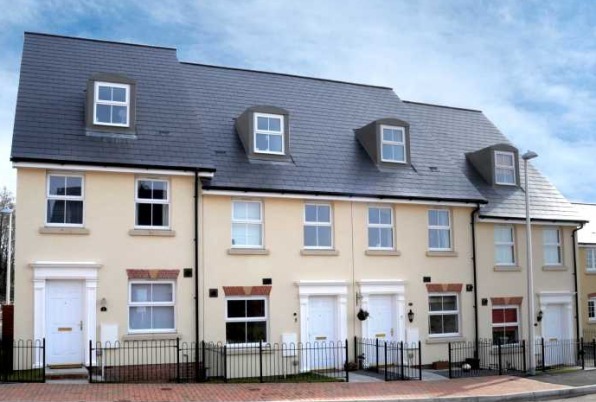 We worked in partnership with Family Housing Association; we designed and built the 32 affordable homes and Family Housing Association bought the homes and managed them for social rent. During the design and planning process we worked with both Family Housing Association and Swansea City Council. The planning application for the affordable homes was given consent in just eight weeks; proof of the strength of the relationships between us the registered provider and the local authority.